Driven by digitalization and topics like Value-Driven Data Quality Management (VD-DQM), the business value of data is receiving increasing attention from data managers. Linked to this development is the topic of Data as a Service (DaaS), which reflects the search for new ways to manage data and its informational value. Are you not yet familiar with DaaS in detail and looking for information on how it could benefit your company? Don’t worry, this blog post will introduce you to the topic and explain why and how DaaS can be used by looking at a pharma industry business use case. Data as a Service is an innovative way of managing enterprise information in a more flexible and requirements-based manner. It enables you to manage data from various internal and external sources and provides an integrated data view. The provided functionalities are enabled by a service-oriented architecture, data analytics technology, and a central information hub. Based on user requirements the information hub will provide the requested data and analytics as a data service provider to either a user, a requesting system or a business process. Why use it and what do you gain? Triggered by the digital transformation, new opportunities and demands are forcing companies to rethink their enterprise information management. 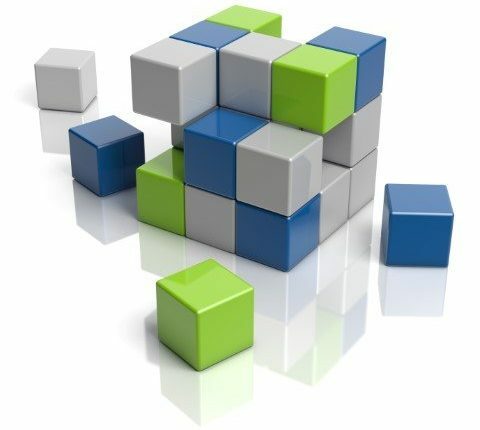 The evolution of service-oriented architectures and ubiquitous access to data are dramatically reducing the relevance of separate data platforms integrated by defined standardized processes. What’s more, Industry 4.0 and Big Data are promising to intensify the influence of data on existing business processes and promoting the need for easy access to relevant data without having to go through the complicated process of connecting sources and systems. 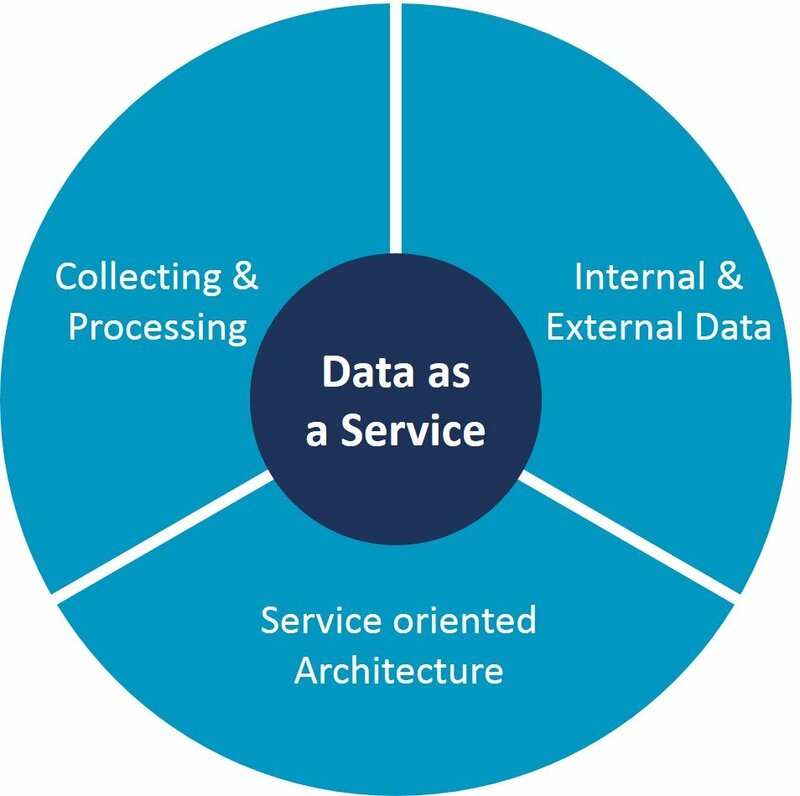 By providing a new concept on how to connect internal and external data sources to enable on-demand data services, it contributes to mastering some of the most widespread challenges among organizations: How can we make profound decisions, connect data silos, provide specialized analytics, enhance our processes and maintain our data quality? The concept of DaaS consists of three elements dividing the functionality into collecting, processing and publishing. Collect data through connecting the information hub to any system, gathering data sets on demand and integrating them into the information hub. Process the collected data with functionality that allows you to consolidate, enrich and analyze the information. Publish your data either via interfaces, extractions or by means of system dashboard analytics and audit how it is used to define the value of your company’s data assets. The below figure shows an example related to marketing in the pharmaceutical industry. How can companies learn from a patient’s feedback that is spread over the internet? Being able to answer this question is very important to pharma marketing departments looking to improve their drugs and reducing adverse side effects. Data as a Service can provide you with patient heat maps based on internet postings found in patient forums, medical publications and healthcare provider websites. Your DaaS hub needs to run a text analytics program to crawl the web for semantics that you have specified earlier. It searches for combinations of words and phrases that allow conclusions on the sentiment of a post. This information is then automatically consolidated into a report designed for marketing departments. Pharmaceutical companies typically use these reports as an early-warning system that allows them to respond quickly to patient complaints. Through DaaS, companies can not only tackle already existing challenges of enterprise information management like data connectivity and full insight reporting, but also comply with new emerging trends triggered by digitalization. Addressing those challenges will be key to succeed as a company in a volatile technical environment. Implementing DaaS as an information management principle can be used as a first step in the right direction.